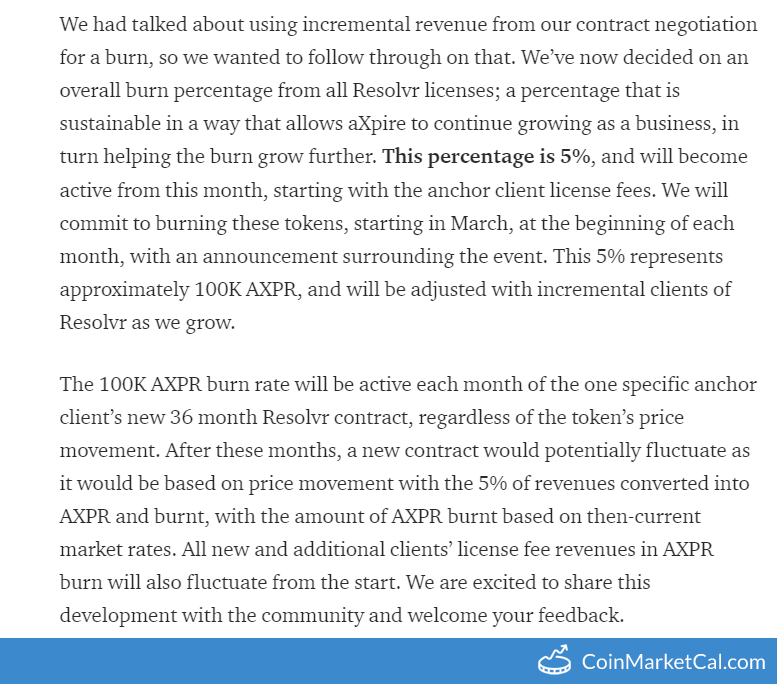 AXpire burns 5% of their revenue from the license fees of their Resolvr software at the beginning of each month. 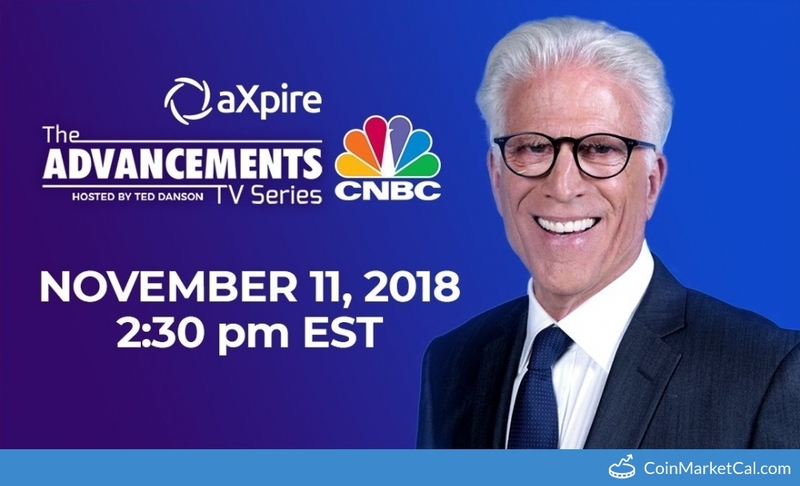 "10,000 $AXPR tokens have been burned for week 17 of 2019..."
CNBC's aXpire-featuring episode of "The Advancements w/ Ted Danson" airs at 2:30 PM EST. Resolvr 2.0 released by end of Q3. 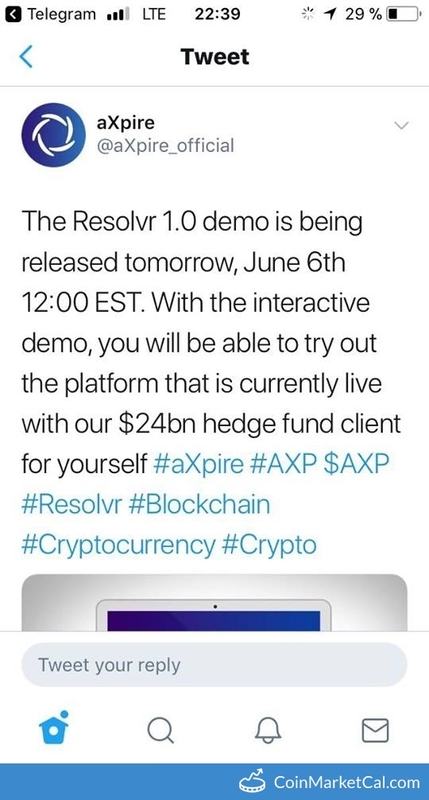 The Resolvr 1.0 demo is being released at July 6th 12:00 EST. 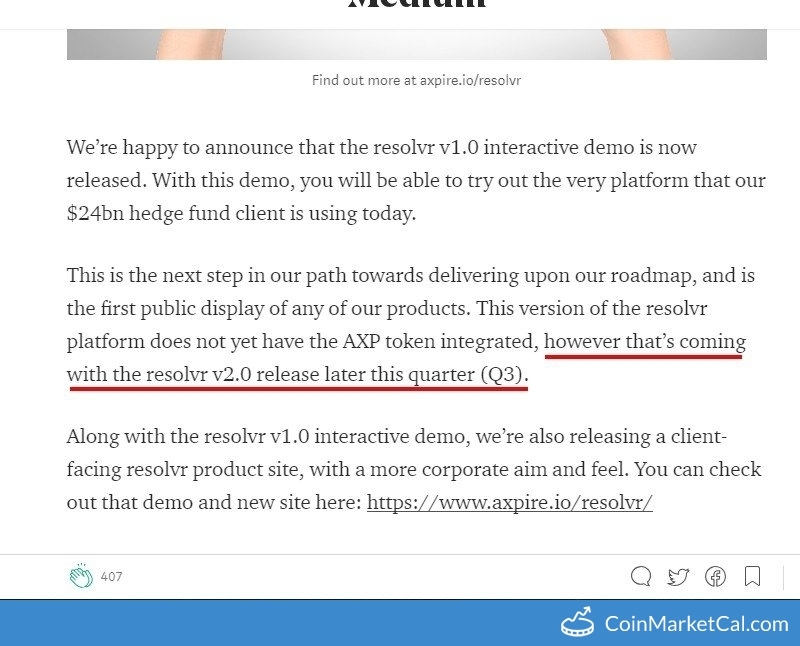 "Release updated of Resolvr incorporating Distributed Ledger Technology," in Q2 2018. 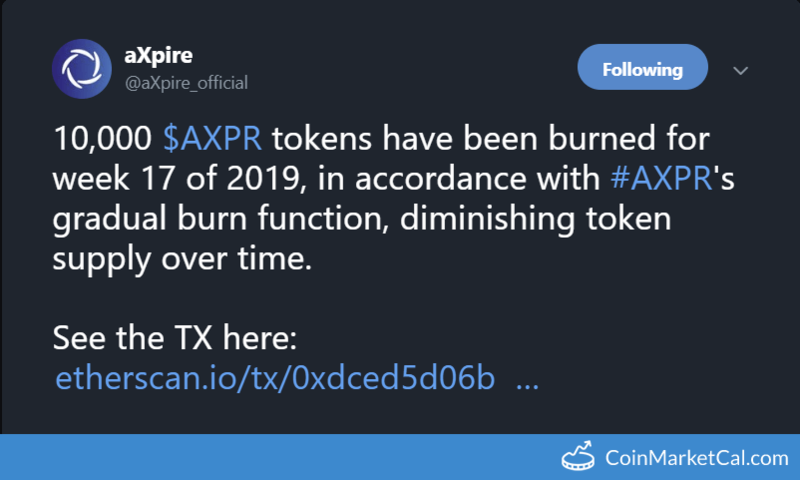 "Release P2P beta version of aXpire's marketplace, MatchBX ("Matchbox")." 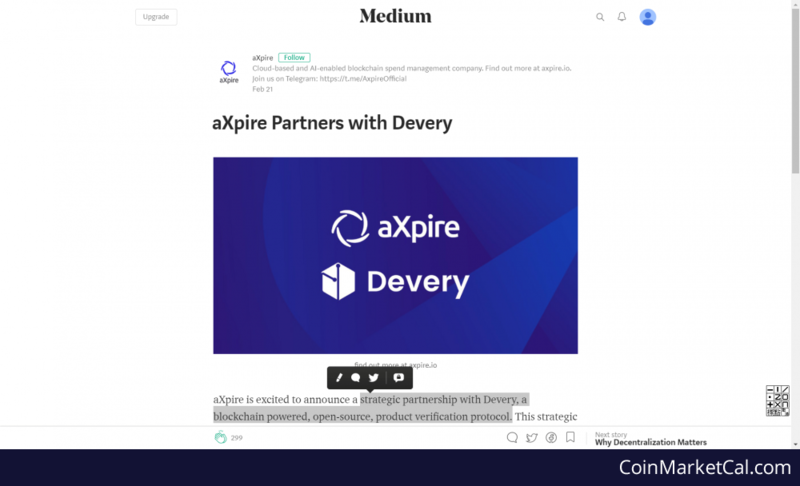 Strategic partnership with Devery, a blockchain powered, open-source, product verification protocol. 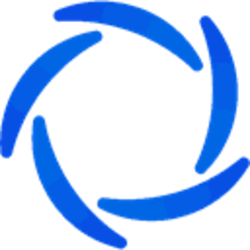 New stratgeic partnership, advisor and team member.